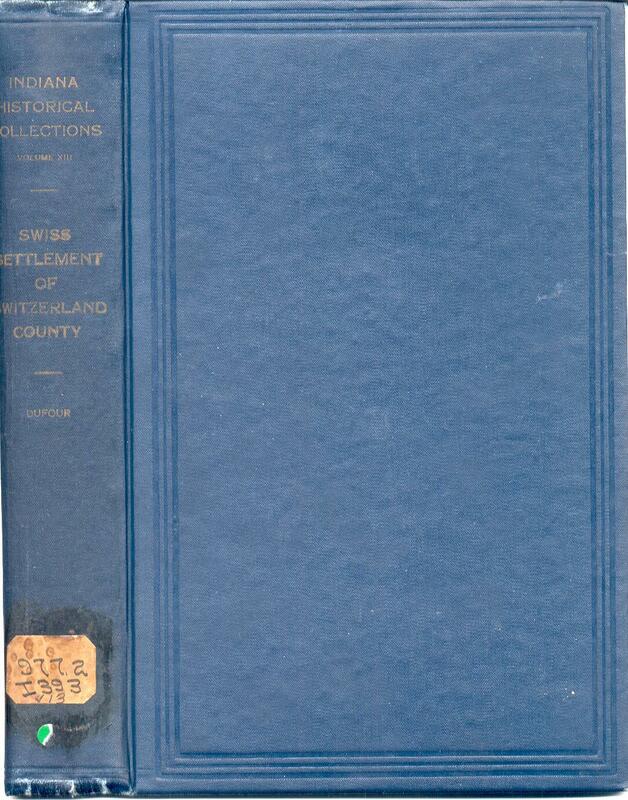 The book, "The Swiss Settlement of Switzerland County, Indiana," by Perret Dufour, translated and printed by the Indiana Historical Commission, Indianapolis, Indiana, 1925. This interesting book is a history of the Swiss settlement of the area now known as Switzerland County, Indiana. 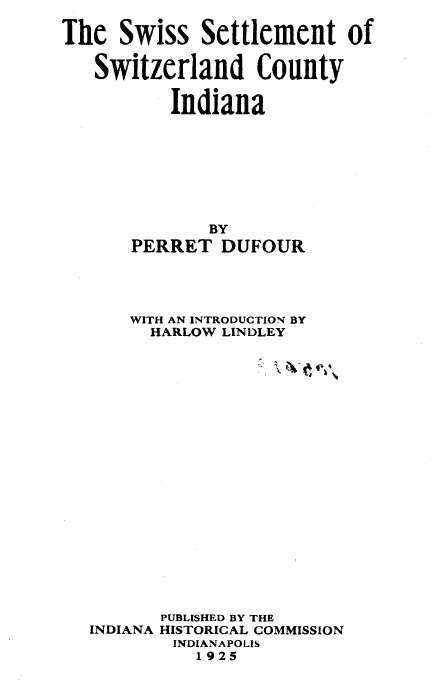 Much of the book is a narrative history of that settlement, and a portion transcribes the journals of John Dufour, completed circa 1876. There are a number of photographic illustrations. 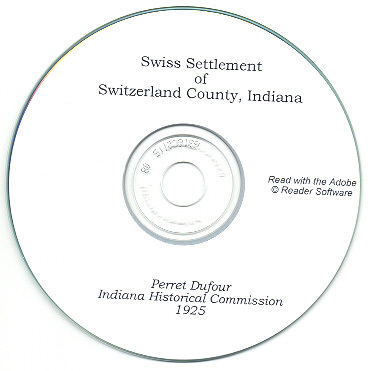 A fantastic genealogy resource for those with Swiss ancestors in Indiana and America! The book has approximately 446 pages and is fully indexed. The Table of Contents of the CD book is linked, and it is also fully searchable; you can search the book using the Adobe Reader 'search' function. Please note: This is not a paper book, it is a scan of the original paper book into the digital Adobe PDF format, written on a CD-ROM. You read this book on your computer using the free Adobe Reader software. It is a digital version of a hard to find book. If you could find a copy of the 1925 printed book, it would be very expensive. Here are many of the names mentioned in this book. 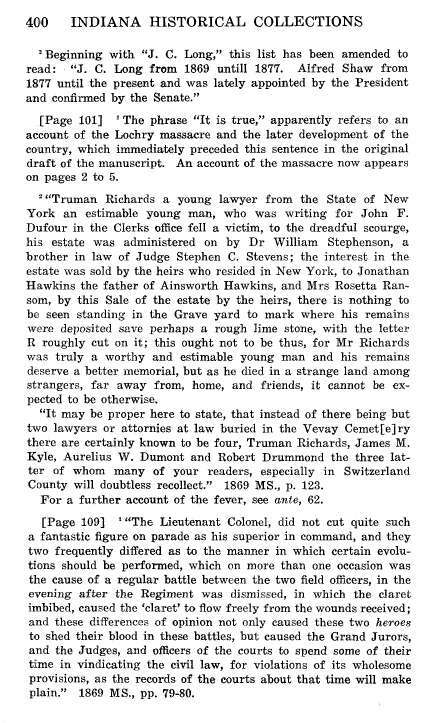 Robert Abbott, John Adams, Martin Adkins, Francis Adkinson, ______ Allain, John Allen, Catherine Anderson, Isaac Anderson, John Anderson, William Anderson, John Andrews, William Archer, Charles Armington, Clarissa Armington, John Armington, William Armington, David Armstrong, Irvin Armstrong, John Armstrong, Margaret Armstrong, Thomas Armstrong, Walter Armstrong, William Armstrong, George Ash, _____ Ausset, Philo Averil, & the Azores. _____ Bachman, Marvin Backus, William Baird, John Bakes, Lewis Bakes, Robert Bakes, Jonas Baldwin, Vevay Bank, Vincennes Bank, Madison Bank, Lawrenceburg Bank, Henry Banta, John Banta, _____ Banta, _____ Bard, Francis Barnes, Anderson Bashop, Martin Baum, T. Warren Beagle, John Beal. Lewis Beal, Samuel Beal, Bear Creek, David Bebee, David Beebee, _____ Bebus, _____ Beelens, _____Beguin, John Bell, Flavius Bellamy, Andrew Bellons, _____ Belrichard, Americus Benedict, George Bennet, Joseph Bentley, _____ Berdez, John Berkshire, Thomas Berryman, J. Philip Bettens, J. P. Betens, Philip Bettens, George Bicknell, _____ Bienvenu, Big Bone Creek, J. Bigelow, George Bishop, Julius Balch, Isaac Blackford, Thomas Blake, Daniel Dufour Blane, F. D. Bland, _____ Blaney, Lewis Blankenship, William Blankenship, Elizabeth Bledsoe, Isaac Bledsoe, David Blunk, Charles Boerner, Frederick Boerner, James Bolens, Francis Bonner, Robert Bonner, Ratliff Boon, L. R. Booth, Jean Daniel Borallay, Jean Boralley, Jean Boralay, Marie Boralay, Peter Borallay, Andrew Bornard, Andrew Bornaud, John Bosseau, Joseph Bosseau, Nicholas Boyland, James Boyle, Margaret Boyle, Henry Brachman, _____ Bracken, _____ Braken, William Bradley, _____ Brand, William Brandenburg, Brant, _____ Braun, Daniel Bray, John Breckenridge, Briants Creek, Bryants Creek, the Brig Sally, Isaac Bristow, James Bristow, _____ Broadhead, Amos A. Brown, Ignatius Brown, James Brown, John Brown, Johnson Brown, Joseph Brown, Ralph Brown, Samuel Brown, William Brown, _____ Browning, James Buchanan, James Buchannon, John Buchannon, J. F. Buchetee, Robert Burchfield, Edward Burns, Allen Burton, & Samuel Butler. David Cain, Joshua Cain, _____ Caldwell, Jacob Call, Charles Campbell, James Campbell, John Campbell, William Campbell, _____ Carnine, William Carpenter, John Carrell, _____ Cart, James Carter, Scott Carter, Peter Cartwright, Lewis Cass, Daniel Caswell, Isaac Chamberlin, William Chamberlin, Samuel Chambers, William Chambers, Joseph Chapman, _____ Chaudet, Augustus Chetlain, _____ Child, William Chittenden, John Citti, Bazilla Clark, George Clark, Lewis Clark, Orange Clark, Walter Clark, _____ Clark, Abner Clarkson, Eliza Clarkson, Samuel Clarkson, Henry Clay, James Clay, Solomon Claypool, John Cler, Abraham Cline, Adam Cline, Dewitt Clinton, Thomas Coen, George Coggshel, Benjamin Cole, Clarissa Cole, Daniel Cole, James Cole, Rebecca Cole, Thomas Cole, Larkin Cook, William Cooper, Cord's Ferry, Henry Cotton, James Cotton, John Cotton, Nathaniel Cotton, Ralph Cotton, Robert Cotton, William Cotton, _____ Coudere, _____ Couk, Augustine Courvoissier, A. Courvoisier, Benoit Courvoissier, Frederick Courvoissier, Samuel Covington, Donald Cowan, _____ Cracraft, George Craig, Stuman Craig, James Cravens, William Crawford, James Culbertson, John Culbertson, Samuel Culbertson, William Culbertson, William Cullen, William Cunninghem, & Courtland Cushing. Pierre le Roi Dallarde, George Dallas, Elizabeth Dalmazzo, Joseph Dalmazzo, F. J. Dalmazzo, James Dalmazzo, Joseph Dalmazzo, Lucy Dalmazzo, Edwin Dana, John Danglade, _____ David, Hannah Davis, Samuel Davis, Rawleigh Day, Jonathan Dayton, Daniel Debetaz, Thomas Delany, _____ Demans, Daniel Demaree, Peter Demaree, John Deming, John Demming, Frederick Deserens, Moese Deserens, Abraham Detraz, Benjamin Detraz, Daniel Detraz, Francis Detraz, John Detraz, Louis Detraz, Lucy Detraz, Elijah Dickason, Griffith Dickason, John Dickason, John Dicky, James Dill, John Doan, Robert Dobbins, Hazelett Dodd, _____ Doge, _____ Don, Patrick Donahoe, Patrick Donahue, Stephen Douglas, Stephen Douglass, John Douglass, Lorenzo Dow, Robert Dow, Alexander Downey, James Downey, Benjamin Drake, Robert Drake, _____ Droz, Robert Drummond, _____ Dubardeau, _____ Ducret, Adam Dufour, Aime Dufour, Amie Dufour, Antoinette Dufour, Daniel Dufour, Daniel Vincent Dufour, Etienne Pierre Andre Dufour, Frances Dufour, Hevila Dufour, Jean Jaques Dufour, Jean Jaques Rudolph Dufour, Jean Pierre Dufour, Jeanne Marie Dufour, John David Dufour, John Francis Dufour, John James Dufour, Marcellina Dufour, Oliver Dufour, Perret Dufour, Pierre David Dufour, Polly Dufour, Susanne Margarette Dufour, Vincent Dufour, James Dugan, _____ Duhlmire, Abraham Dumont, Aurelius Dumont, C. T. Dumont, John Dumont, Julia Dumont, Richard Dumont, Alexander Duncan, James Duncan, Cyrus Dunham, George Dunn, Isaac Dunn, William Dunn, _____ Duplan, Hosier Durbin, & Eugene Dutoit. Alexander Edger, Eden Edwards, James Edwards, Joseph Eggleston, Miles Eggleston, John Elam, _____ Elson, Frank Emerson, Frank Emmerson, Isabel English, Thomas Evans, Ira Everden, Jacob Everston, & James Ewing. Samuel Fallis, James Fanning, Joseph Farley, John Fenton, William Fidds, Elwood Fisher, Timothy Flint, Francis FLotron, William Flynn, Dr. _____ Forbes, Fort Harrison, Fort McHenry, Fort Recovery, Fort Snelling, Fort Wayne, _____ Fowler, John Fox, _____ Frazier, _____ Fraser, Free Masons, Frederick Frelinghuysen, John Fremont, James French, Nathaniel French, William French, Philip Fry, & James Furgeson. 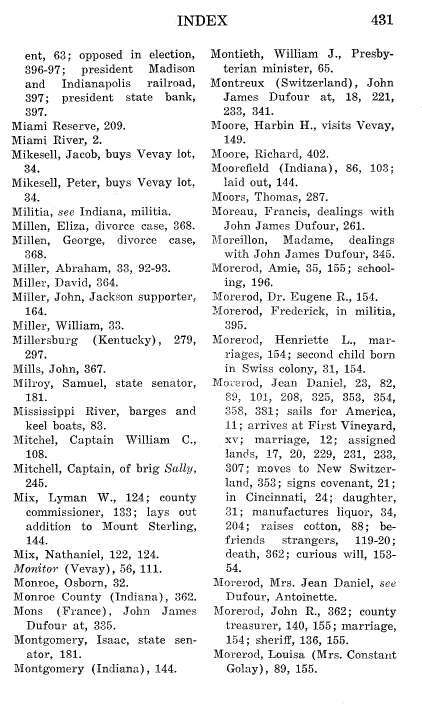 Ludwell Gaines, Albert Gallatin, William Gard, Charles Gary, Aribert Gazley, Jonathan Gerard, Nathaniel Gerard, William Gerard, E. Gex, Louis Gex, Lucien Gex, Victoir Helvetia Gex, James Gibb, John Gibbons, William Gibbs, John Gibson, Amos Gilbert, Nancy Gilbert, John Gill, Alexander Gilliland, John Gilliland, Thomas Gilliland, _____ Giroud, Hugh Glenn, James Glenn, Clarissa Golay, Constant Golay, David Golay, Elisha Golay, Lawrence Golay, Lewis Golay, Seldon Golay, _____ Goldsmith, Goose Creek, Lawrence Gordon, _____ Gouffond, _____ Goufond, _____ Goufon, John Graham, William Graham, Charles Grammer, Gideon Granger, Ulysses S. Grant, Grant's Creek, Daniel Grass, John Gray, Mary Ann Gray, Wilson Gray, Great Miami River, James Gregory, William Gregory, Horace Greeley, Bunn Green, Martin Green, _____ Green, Francis Griffith, Joshua Griffith, Frederick Grisard, James Grisard, Rudolph Grisard, Zelie Grisard, John Gullion, Robert Gullion, & Samuel Gwathmey. Wilford Hagan, Joshua Haines, Peter Hale, Gabriel Hall, John Hall, William Hall, Squire Hall, Edward Hamilton, Elizabeth Hamilton, James Hamilton, John Hamilton, William Hamilton, Lot Hammond, Rezin Hammond, Henry Handy, Henry Hannas, William Hannas, Edward Hannegan, William Harcoat, Elizabeth Hare, _____ Harmon, John Harper, Peter Harper, William Harper, Henry Harrington, Daniel Harris, Jacob Harris, Peter Harris, Christopher Harrison, Eli Harrison, William Harrison, P. J. Hartford, P. T. Hartford, Pruit Harvey, George Harryman, James Harwood, James Haselrig, E. C. Haskell, Thomas Haskell, Charles Hastie, George Hastie, James Hastie, John Hastie, William Hastie, Charles Hastings, Cyrus Hatch, Henry Hatch, George Hathorn, Ainsworth Hawkins, Jonathan Hawkins, Daniel Haycock, John Hayden, Stilwell Heady, Thomas Heady, Charles Heath, Peter Hemphill, Charles Henderson, William Hendricks, _____ Henny, David Henry, Benjamin Herr, Bela Herrick, Horace Herrick, James Herrick, _____ Hettich, Samuel Hewitt, Hickman's Creek, James Hicks, Henry Higby, Benjamin Hilderbrand, John Hill, Josephine Hill, Ralph Hill, David Hillis, Lewis Hogan, Philip Holland, William Holland, Fernandez Holliday, Jesse Holman, William Holman, Alexander Holton, John Hopkins, Thomas Hopkins, Charles Horton, George Hotchkiss, Luther Hotchkiss, Andrew Houze, A. C. Hovey, Samuel Howard, Tighlman Howard, Sylvanus Howe, William Howe, William Huff, Thomas Huffman, James Hughes, Hezekiah Hull, Zelim Humbert, James Hummer, Arthur Humphrey, James Humphrey, Morton Hunter, Patrick Hunter, Hunt's Creek, & William Huston. _____ Imiel, Indian Creek, & Kinkelin Isenschmid. Samuel Jack, Andrew Jackson, Ibzan Jackson, Mordecai Jackson, Joseph Jagers, Pinkney James, Thomas Jefferson, John Jenckes, Jonathan Jennings, Colomb Johannoz, Colombe Johannot, Gabriel Johnson, John Johnson, Lewis Johnson, William Johnson, Andrew Johnston, Larkin Johnston, _____ Johnston, Charles Jones, Elizabeth Jones, James Jones, John Jones, Joshua Jones, Lewis Jones, Stephen Jones, William Jones, _____ Jourdan, & John James Dufour. Joshua Kaines, William Keen, Harris Keeney, William Keeney, William Keith, _____ Kelley, Daniel Kelso, William Kelso, Josephus Kent, Edward Kern, Jacob Kern, Joseph Kern, George Kessler, Victor Kessler, Reuben Kidder, John Kilgore, John King, _____ King, Kinkelin & Roupp, Isaac Kinsman, James Kirby, Lydia Kirtley, George Knox, James Knox, Robert Knox, Charles Krutz, William Krutz, George Kyle, James Kyle, & Tabitha Kyle. Anthoine La Chapelle, Marie Joseph Marquis de Lafayette, La Liberte, Hugh Lamb, Robert Lamb, Jessee Lamme, George Land, Amos Lane, James Lane, R. J. Lanham, Francis Lansdale, Francis Lonsdale, _____ Larwill, Samuel Lattimore, Archibald Laughery, Laughery Creek, William Laughridge, Lausanne, John Lawrence, William Lawrence, _____ Laycock, Dudley Leap, _____ Leavy, Julia Le Clerc, Peter Le Clerc, David Lee, Eliza Lee, James Lee, _____ Legaux, Madame Le Grix, Nicholas Lentz, _____ Lester, Abraham Levi, William Lewis, Abraham Lincoln, Francis Lindley, Joseph Lion, Henry Little, Enos Littlefield, Harvey Littlefield, Daniel Livings, Theodore Livings, Archibald Lochry, Peter Lock, Log Lick, Log Lick Creek, James Long, _____ Long, _____ Lorimier, Peter Lostutter, Daniel Loudon, _____ Louis, Isaac Lunger, Benjamin Luster, & Moses Lutz. Robert McAfee, Duncan McCallum, John McCallum, Niel McCallum, James McClellan, James McClure, John McClure, _____ McCorcles, Robert McCorkle, David McCormick, John McCormick, William McCray, Hugh McCreary, William McCullough, _____ McCutchen, _____ McCutcheon, Joseph McFall, _____ McFall, Norman McGruder, Joseph McHenry, Wesley McHenry, William McIlvain, Edward McIntire, Thomas McIntire, Abisha McKay, James McKay, Robert McKay, Mordecai McKenzie, Henry McMakin, Jonathan McMakin, Julius McMakin, Amity McMillen, Colin McNutt, Mathias Madary, D. T. Maddox, Channing Madison, Joab Madison, Samuel Magues, Thomas Magues, _____ Maguire, _____ Makensie, William Malcomson, _____ Malcomson, Ira Malin, Jacob Malin, Joseph Malin, _____ Manford, _____ Marechal, _____ Martin, Massacre at Pigeon Roost, David Maxwell, _____ May, _____ Mayfield, _____ Mayor, William Mead, _____ Mecbean, Alexander Meek, John Mek, John Melcher, _____ Menard, Ira Mendenhall, John Mendenhall, Martha Mendenhall, Miles Mendenhall, _____ Mennesier, Francis Mennet, Samuel Mennet, John Menola, Charles Mentelle, W. Mentelle, Samuel Merrill, Miami Reserve, Miami River, Jacob Mikesell, Peter MIkesell, Eliza Millen, George Millen, Abraham Miller, David Miller, John Miller, William Miller, John Mills, Samuel Milroy, William Mitchel, Lyman Mix, Nathaniel Mix, Osborn Monroe, Isaac Montgomery, William Montieth, Harbin Moore, Richard Moore, Thomas Moors, Francis Moreau, Madame Moreillon, Amie Morerod, Eugene Morerod, Frederick Morerod, Henriette Morerod, Jean Morerod, John Morerod, Louisa Morerod, Rudolph Morerod, Mormons, John Morral, Gouverneur Morris, Patterson Morris, Thomas Morris, _____ Morrison, _____ Morton, Peter Mosbyer, Zela Moss, Caleb Mounts, Thomas Mounts, Peter Munfort, Lewis Munson, Rebecca Munson, Benjamin Muret, Charles Muret, John Muret, Julius Muret, Mary Muret, George Murphy, Jane Murphy, & Jesse Murphy. _____ Nancaron, _____ Nancarron, Isaac Naylor, Catherine Naylor, John Neal, Alexander Nelson, John Nelson, Reuben Nelson, Joseph Netherland, Jeptha New, New Harmony, Barnabas Newkirk, Asa Newton, Edward Nichols, _____ Nicollier, _____ Nicolier, Lawrence Nihell, Peter Nighswonger, Solomon Nighswonger, Charles Noble, James Noble, Joseph Noble, Lewis Noble, Oliver Noble, _____ Nollnaguel, Charles Norrisez, Mary Norrisez, Victor Norrisez, William Norrisez, Benjamin North, James North, & _____ Norton. Joseph Obersteg, Louis Oboussier, Louis Obousier, Luke Oboussier, _____ Ogule, Achillis Ogle, Eli Ogle, Hiram Ogle, Old Betz, John Olmstead, Oliver Ormsby, _____ Ortubise, & _____ Osserlee. _____ Pache, _____ Parker, Abraham Parkinson, William Pate, John Patterson, Edward Patton, George Patton, Morgan Patton, William Patton, John Paul, Absolem Pavy, James Pavy, John Pavy, Samuel Pavy, Thomas Paxton, William Paxton, _____ Payen, J. Payen-Boisneuf, Hiram Peabody, _____ Peacock, Nathan Peak, Samuel Peak, Robert Peck, Joseph Peelman, _____ Peira, William Peirson, David Penwell, Garrett Perkins, David Pernet, John Pernet, Susan Pernet, F. Perret, Henry Peters, Ezekiel Petty, Joshua Petty, Matilda Philips, William Philips, Benjamin Pickett, Benjamin Picket, James Pickett, Heathcoat Pickett, Franklin Pierce, William Pierson, Pigeon Roost, _____ Pirous, John Plasants, George Pleasants, James Pleasants, Samuel Pleasants, Plum Creek, James Polk, Samuel Porter, Thomas Posey, William Powell, Joseph Prat, Polly Prewit, William Price, William Priestly, William Prince, Printer's Retreat, Noah Pritchet, George Probasco, Charles Protsman, Samuel Protsman, William Protsman, & Joseph Pugh. Thomas Ramsey, Daniel Ramseyer, Philip Ramseyer, Richard Randall, Rosetta Ransom, James Rariden, James Raridon, James Ray, John Rayl, Thomas Rayl, _____ Rayles, Abraham Raymond, Abraham Raimont, Abraham Raimond, Francis Raymond, Frederick Raymond, Orlando Raymond, _____ Rector, Red Bank, John Reed, Jonathan Reeder, _____ Reiner, _____ Richard, Isaac Richards, Truman Richards, Viletta Richie, A. S. Ried, James Ringo, Hezekiah Roberts, John Roberts, Redding Roberts, William Roberts, Benjamin Robinson, John Robinson, William Rochat, _____ Rohl, John Romeril, Philip Romeril, Robert Rosebrough, Moses Rosenbrough, William Ross, _____ Rossier, Madame Roulet, Alfred Rous, James Rous, Lucien Rous, Percy Rous, William Rous, Zadig Rous, Michael Routein, Jean Roux, William Ruggles, Martin Ruter, Joseph Rutherford, & Stephen Rutherford. 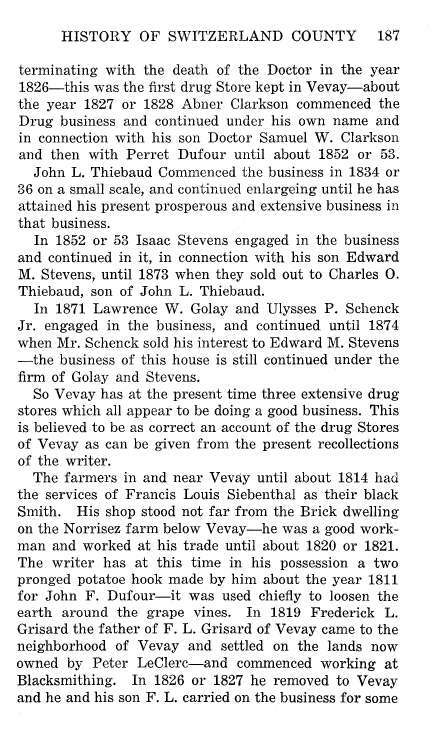 Philander Sage, Adoat Sample, A. Sanders, John Sanders, Lewis Sanders, Louis Sanders, Samuel Sanders, _____ Sandos, _____ Saugrin, Benjamin Schenck, John Schenck, Ulysses Schenck, John Schroeder, Lewis Schroeder, John Schwartz, Charles Scott, David Scott, James Scott, John Scott, Rufus Scott, Walter Scott, William Scott, Linus Scoville, William Scudder, Elizabeth Scudder, Elizabeth Searcy, William Searcy, Alexander Sebastian, Lord Selkirk, _____ Senegal, Horatio Seymour, _____ Shannon, Alfred Shaw, William Shaw, Francis Sheets, John Sheets, David Sheldon, Frederick Sholts, Jacob Short, Joseph Short, Enoch Shuff, David Shull, Jacob Shull, John Shupe, Benjamin de Siebenthal, Francis de Siebenthal, John de Siebenthal, Lemuel de Siebenthal, Benjamin Simmons, Ben Sinimons, John Simon, Zelie Simon, Daniel Sisson, Zenas Sisson, Six Nations, James Slaughter, Simeon Slawson, Benjamin F. Smith, Bettie Dufour Smith, John Smith, Oliver H. Smith, Samuel Smith, Thomas Smith, William Smith, Joshua Smithson, Jeremiah Smock, Josiah Snelling, _____ Snodgrass, _____ Sonnette, _____ Soulard, Elijah Sparks, John Spencer, Edward Stall, Isaac Stanley, Milton Stapp, Abner Starr, Jane Steele, M. D. A. Stein, William Stephenson, John Stepleton, Edward Stevens, Isaac Stevens, Jane Stevens, Stephen Stevens, Andrew Stewart, James Stewart, James Stuart, Stephen Stewart, William Stewart, Jacob Stickler, John Stickler, Peter Storm, Jonah Stow, Shilometh Stow, Solomon Stow, Uziel Stow, John Strange, Berry Sulgrove, Huldah Sullivan, Jeremiah Sullivan, James Swan, William Sweet, & Swiss Artillery Company. George Tague, George Teague, John Tague, Joseph Tague, Merrit Tague, John Tait, George Tandy, Harriet Tandy, John Tandy, Newton Tapp, Joseph Tarkington, Thomas Taylor, Zachary Taylor, John Test, Caroline Thiebaud, Charles Thiebaud, Frederick Thiebaud, Henriette Thiebaud, John Thiebaud, John Thibaut, Justin Thiebaud, Booth Thomas, _____ Thomas, Jacob Thompson, John Thompson, J. Thompson, Thomas Thompson, Henry Thornton, Friend Thrall, Buckner Thruston, Buckner Thurston, _____ Tift, _____ Tiller, William Tilly, Stephen Tilly, Stephen Tinker, James Titus, Battle of Tippecanoe, Henry Todd, James Todd, Paxton Todd, James Torrence, Robert Trotter, James Truesdell, James Treusdel, Job Truesdell, Joshua Tull, George Turner, John Turner, Robert Turner, & John Tyler. Colby Underwood, _____ Ungler, & Upper Blue Lick. 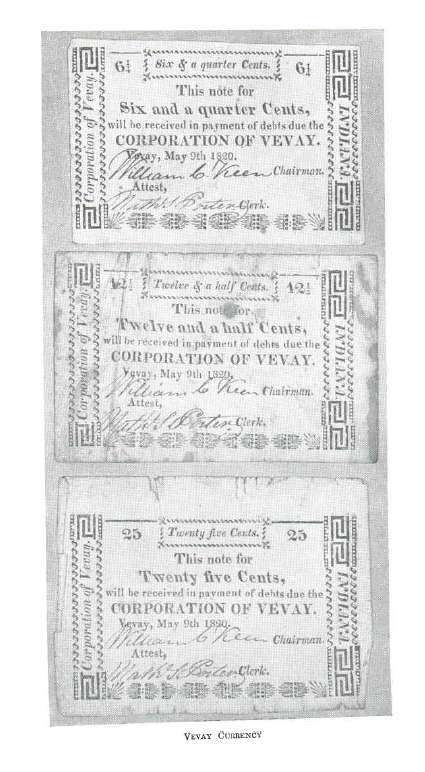 Augustus Vairin, John Vairin, Julius Vairin, Justus Vairin, V. Vairin, Peter Vanbriggle, Martin Van Buren, _____ Vandever, _____ Vandoren, Abram Vandusen, Achillis Vawter, Beverly Vawter, John Vawter, Venoge Creek, Vevay Island, _____ Villard, _____ Vincendiere, Edward Violet, Cornelius Voris, & Judge Vuichoud. Elisha Wade, George Wade, Henry Walden, Nathan Walden, Solomon Walden, Ann Waldo, Frederick Waldo, Horatio Waldo, Mehetabel Waldo, Otis Waldo, Sylvanus Waldo, Charles Walker, David Walker, David Waker, John Walker, Robert Wallace, _____ Wallick, _____ Walter, Jesse Warden, S. Warley, _____ Warthman, Hiram Wason, John Watts, Johnson Watts, Thomas Watts, John Weaver, _____ Weaver, _____ Weber, H. Webster, Augustus Welch, Jacob Wells, Walter Wells, George Welsh, Hester Welsh, James Welsh, James Welch, Joseph Welsh, Thomas Whalon, Stephen Whitcher, John White, Rebecca White, William White, _____ White, Israel Whitehead, Rachael Whitehead, Nathan Whitemore, Thomas Whitson, _____ Wibel, William Wick, William Wickham, _____ Wickham, Thomas Wiles, Allen Wiley, Lemuel Wiley, Davis Wilkill, Hugh Williams, John Willis, Benjamin Wilson, James Wilson, Jeremiah Wilson, John Wilson, Joshua Wilson, Maria Wilson, William Wilson, David Winteroad, _____ Wolf, Enoch Wood, John Woods, Richard Woods, Levin Woollen, William Woollen, Lewis Works, Mathew Worstell, _____ Wrenshall, John Wright, Mary Wright, Sarah Wright, & Thomas Wright. Richard Yates, _____ Yaux, the brig Young Edward.